Only two weeks remain before the Pepsi National Elite Basketball League (NEBL) heads into playoffs. The San Pedro Tiger Sharks managed to snag another win over the weekend, keeping them at first place in the league, with 18 accumulative points. While the Tiger Sharks and the Belmopan Bandits are the first two teams to clinch a playoff spot, five other teams are battling for the last two spots. The Belmopan Bandits took on the Orange Walk Running Rebels on Thursday, March 30th at the University of Belize’s gymnasium. During four intense quarters, the Bandits were able to score one final point to pull out a narrow victory of 70-69. The Dangriga Dream Ballers faced the Cayo Western Ballaz at the Sacred Heart College Auditorium on Friday, March 31st. After another close match, the Dream Ballers won the game by one point, 84-83. On Saturday, April 1st, the Dream Ballers played another match, and faced the Belize Hurricanes at Ecumenical High School. However, the home team fell short by the fourth quarter, losing to the Hurricanes 78-69. On Saturday, April 1st, the Tiger Sharks took on the Belize City No Limits at the Angel Nuñez Auditorium. With home court advantage, the Tiger Sharks led throughout the entire game, defeating the visitors 70-65. The NEBL Commissioner Karim Juan says there are several playoff scenarios. This coming weekend’s games will shed greater light on the remaining playoff spots, while deciding who clinches home court. According to him, the Western Ballaz will clinch a playoff spot IF they win the game against the Orange Walk Running Rebels, AND if the Hurricanes lose one more game. Dream Ballers will also make the playoffs IF they defeat the Running Rebels by more than four points, AND if the Hurricanes loses one more game. On Friday, April 7th, Orange Walk Running Rebels will take on the Cayo Western Ballaz at Sacred Heart College Auditorium in San Ignacio Town, starting at 9PM. Belize City No Limit will also play Smart Belize Hurricanes at St. Catherine’s Mercy Center in Belize City, starting at 9PM. 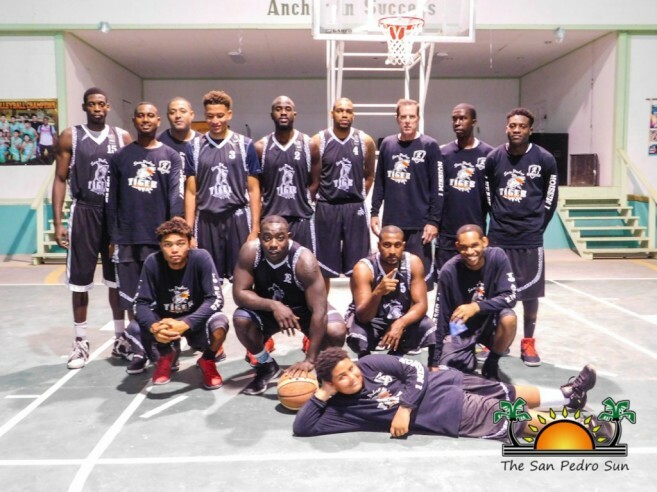 On Saturday, April 8th, the Dangriga Dream Ballers will face the San Pedro Tiger Sharks at the San Pedro High School, starting at 9PM. The NEBL informs the public that two games will be shown live on TNC this weekend: Belize City No Limit and the Hurricanes game on Friday night at 9PM, and the Dream Ballers and Tiger Sharks game on Saturday, April 1st at 9PM. San Pedro Tiger Sharks are heading to the NEBL finals!